A group of United Nations human rights experts issued a joint statement on 28 November 2018 calling on States to live up to their commitments to protect women human rights defenders, as they come under increasing attack, and with inadequate protection. “This is being done through the enactment of laws and practices that effectively impede human rightswork, including the misapplication of certain laws such as counter-terrorism and public assembly laws,” they explained. Moreover, sexual violence, defamation and intimidation, including against their family members, are being used as a deterrence. 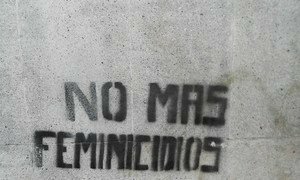 In 2017, Front Line Defenders recorded that 44 women human rights defenders were killed; an increase from 40 in 2016 and 30 in 2015. “We are particularly concerned regarding those who have suffered reprisals for their efforts to work with the United Nations and regional bodies. Participation in the work of the international human rights system is in itself a right and must never be met with intimidation or attacks,” they stressed. (SOURCE: UN News).